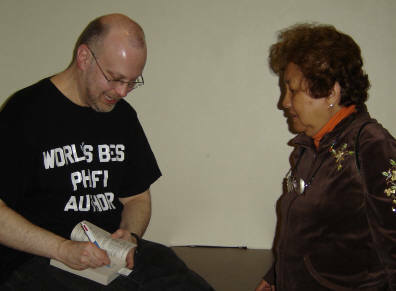 My talk at the Library of Congress in Washington, D.C., went well yesterday (Thursday, April 19) -- Carolyn said I was on fire. 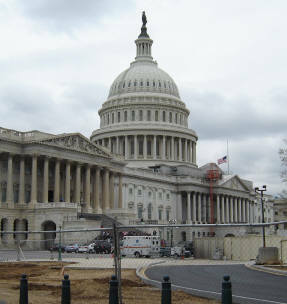 There's lots of security for federal buildings in Washington, but we were on the appropriate lists, and indeed had a parking space waiting for us, once we got through the very intimidating barriers, right out from of the Library of Congress. 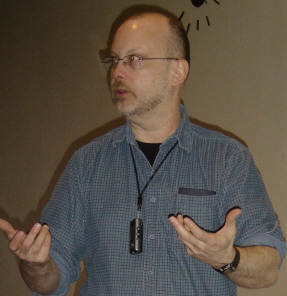 My talk, "Science Fiction as Mirror for Reality," went over well, and gave rise to a lively Q&A. 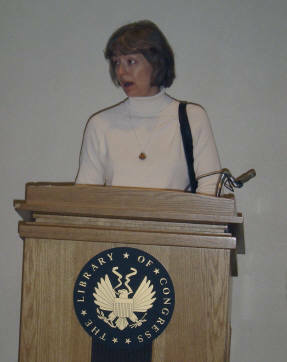 I was introduced by Colleen Cahill, of the Library of Congress. Present in the audience were Larry Hodges, once of my students from the Odyssey Workshop last summer; Dr. Michael K. Brett-Surman, the dinosaur specialist from the Smithsonian; and Sinya Shaeffer, a retired LoC librarian who had arranged for my previous talk at the Library of Congress in 1999. A person from the LoC gift shop was present to handle book sales. After, a dozen of us went to a local Chinese restaurant for a wonderful lunch. 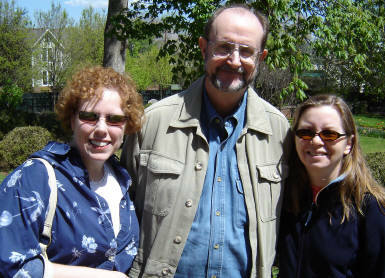 Then Carolyn and I drove Mike Brett-Surman out to his wonderful home right on the Rappahannock River in rural Fredericksburg, Virginia; Carolyn and I stayed overnight there with Mike and his wife Kim Moeller; Kim also works at the Smithsonian, in exhibit design. We had a great dinner out with Mike and Kim, and I gawked at their great collections of SF memorabilia and dinosaur art. 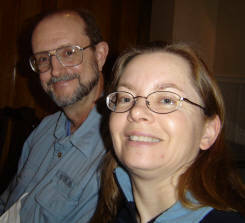 This morning (Friday, April 20, 2007), Mike and Kim took us sight-seeing, showing us some of the Civil War sites in and around Fredericksburg, then Carolyn and I hit the road for the hour-and-a-half drive to Richmond, for Ravencon, the science-fiction convention there at which I'm guest of honor this weekend. 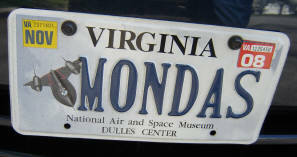 Washington, D.C. -- but where is Klaatu? 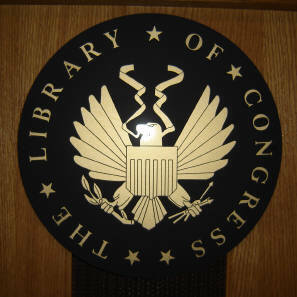 The Library of Congress -- shhhh! 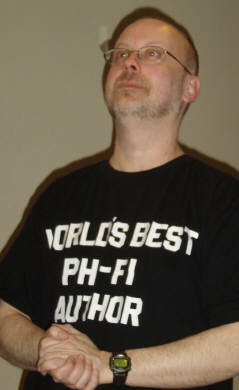 ... in which Rob makes the point that "science fiction" might be better called "philosophical fiction" -- not sci-fi, but phi-fi -- causing him to reveal the T-shirt he was wearing, which says, "World's Best Phi-Fi Author," a gift to Rob last October from Montreal fan Debi Ancel. I love the idea of "philosophical fiction". I study physics and philosophy, and it was only by reading Calculating God that my mom convinced herself that there's actually a connection between the two.